I've got a cold (yuck), so I'm dipping into my archive of “blog about someday” pics for some low-hanging easy-to-post fruit. 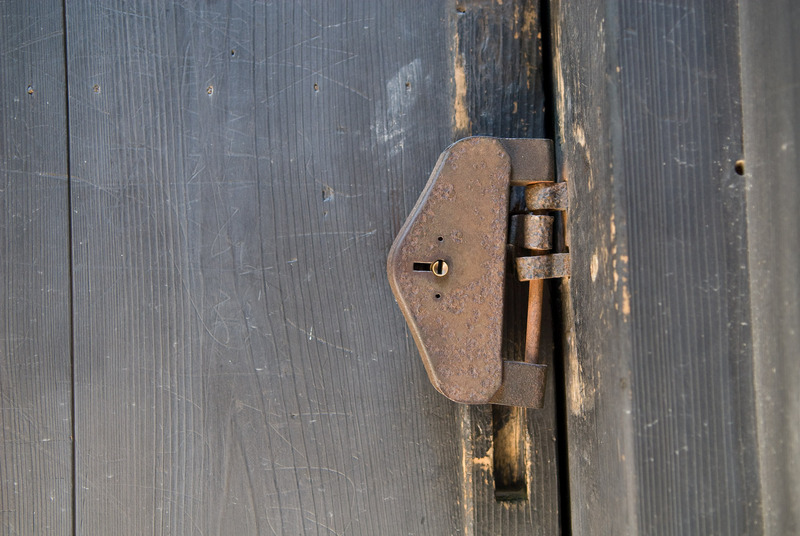 This lock was on the door of a bell tower deep in the mountains on the rear grounds of the Nanzen Temple (Kyoto, Japan). It took it last summer while walking around with friends KFC and Verena while they were in town. It was the same trip where Anthony inspected a butterfly.